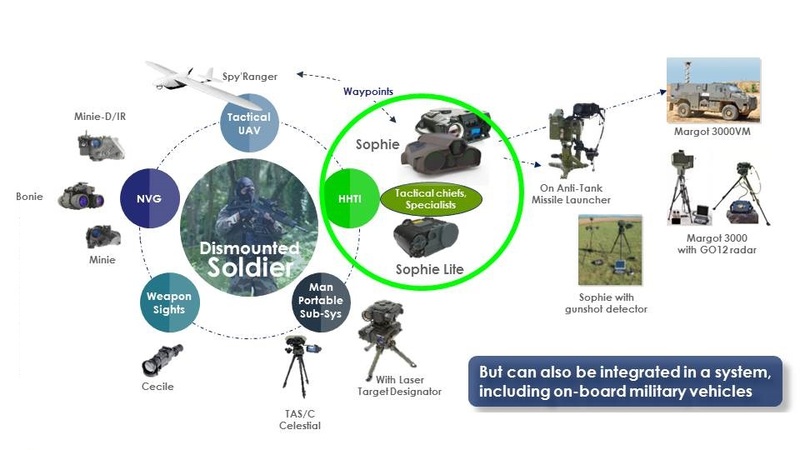 The Sophie Family is the eyes of the contact units and is part of the global dismounted soldier offer just as tactical UAVs, night vision goggles, thermal weapon sights and the TAS/C for the artillery. But, Sophie is also part of other types of offers. It can be integrated in man portable systems, but also in vehicle offers. 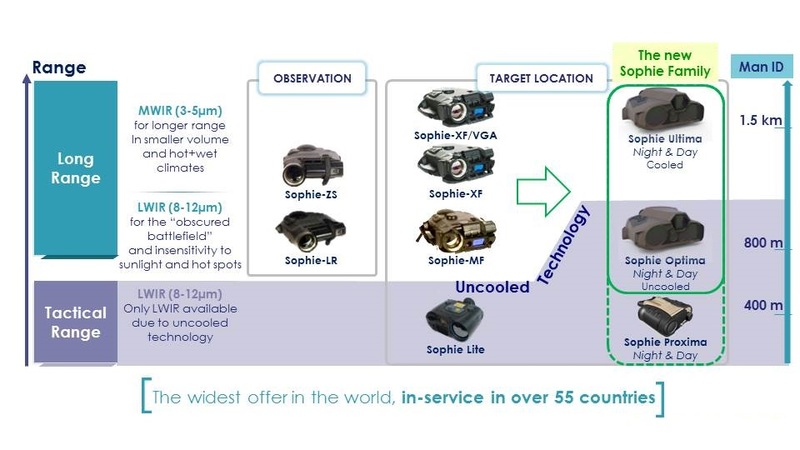 In 20 years, the Sophie family became THE reference on the defense market, with more than 15 000 units sold over 55 countries. Additionally, we have taken the commitment to build the future by listening and exchanging with customers. That is why in 2004 we launched a Sophie Users’ Club to build a closer relationship with customers and generate feedback in order to continuously improve our products. Today, the defense market is being completely redefined. 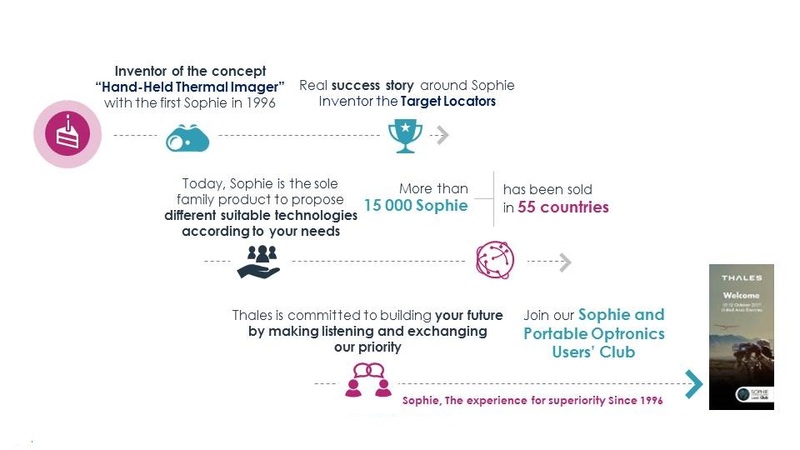 In order to capture these changes, and respond the best way to the needs of our customers we have decided to develop the 4th Generation of Sophie. Today, we introduce a new Sophie family. 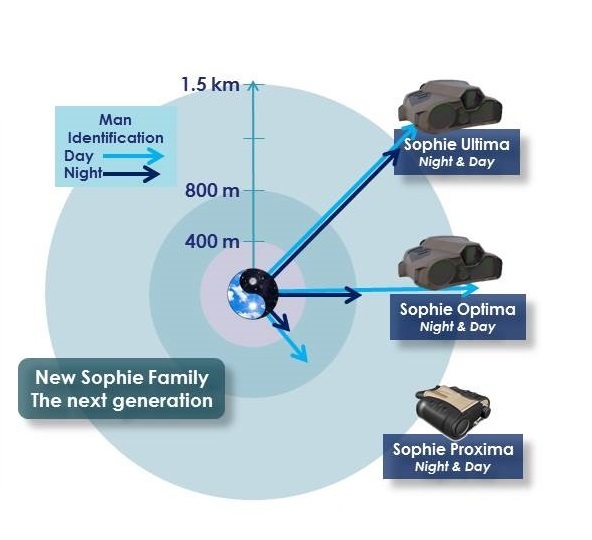 The first member of this family is the Sophie Ultima, which has been launched at Eurosatory. The second, the Sophie Optima is also under development but will be available for demonstration first quarter 2020. Finally, we plan on completing the family with the Sophie Compact second quarter 2020. 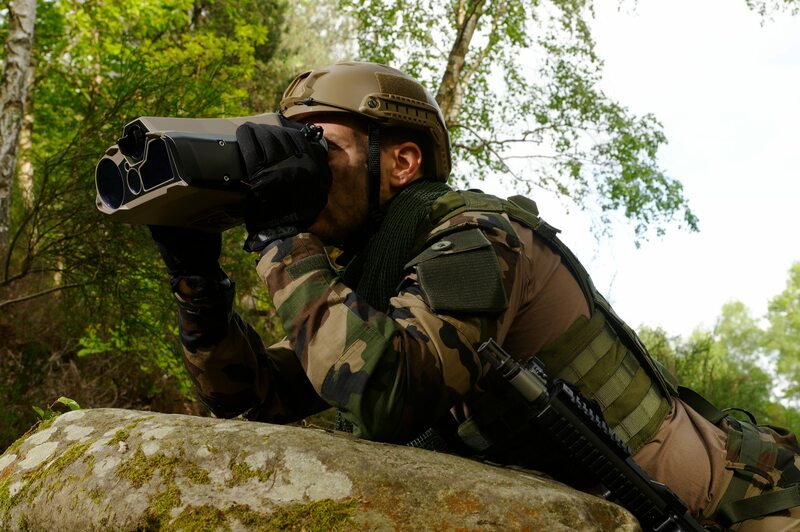 Tactical superiority night and day: detect sooner, identify further, engage faster. 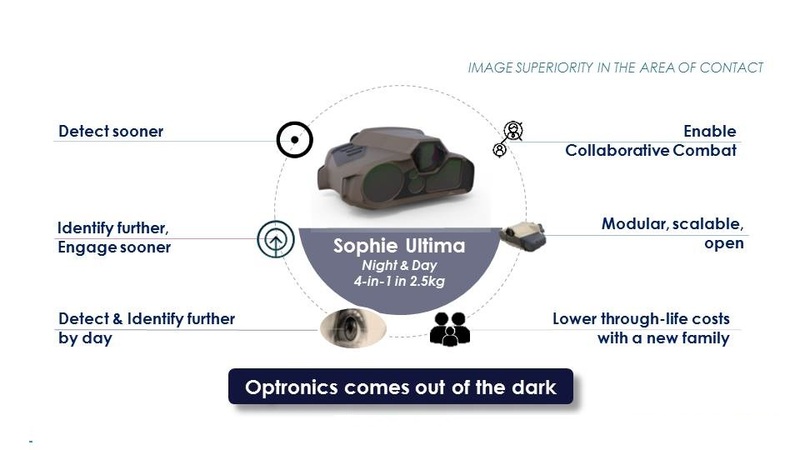 With 4-in-1 lightweight solution for dismounted soldiers, naval special ops and paratroopers, the Sophie Ultima opens up the universe of collaborative combat with unbeatable versatility.